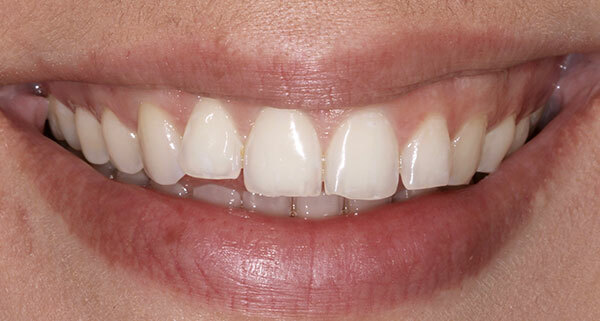 This case shows how a gum lift and porcelain veneers can transform your smile! Our patient came to us embarrassed of her gummy smile and crooked teeth. 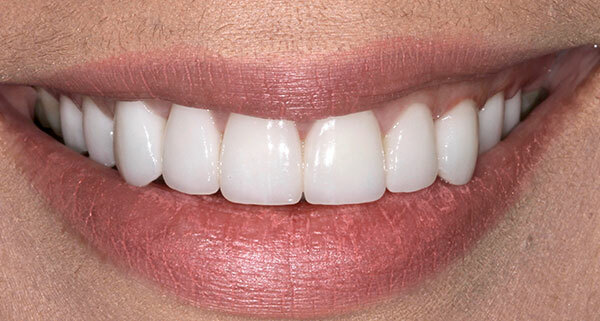 We placed 10 bleach shade porcelain veneers to lengthen and widen her smile. A laser gum lift was used to minimize the soft tissue that shows when smiling. The porcelain we use is highly resistant to staining and will not discolor.